The 2013 Capitol Hill Chamber Music Festival presents two performances on the cutting edge of exploration in the field of early music, examining two little-known areas of musical repertoire: the Italian four-part canzonas of 1582-1628 on July 17 and a premiere of an exciting manuscript documenting the music performed in little evening concerts for Louis XIV on July 19. Both at St. Mark's Episcopal Church on 3rd and A Streets on Capitol Hill at 7:30 PM. A Washington first: an in-depth exploration of the rarely-heard Italian four-part canzona, which blossomed in print from 1582 to 1628 concurrently both with intense development among violin makers and players in Milan and the surrounding region, and the emerging "baroque" style and a new concept of chordal accompaniment, which was resisted during these decades by some composers who chose to intensify the dynamic interaction of independent instrumental voices in the earlier manner, but ever with more violinistic flair. 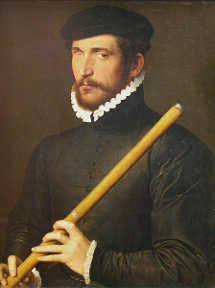 Stylistically diverse canzonas by Florentio Maschera, Floriano Canale, Giovanni Domenico Rognoni Taeggio, Antonio Troilo, Giovanni Antonio Cangiasi, Giulio Cesare Ardemanio, Giovanni Domenico Rivolta and Nicoló Corradini will be set into perspective with examples of the instrumental versions published in Italy of the four-part French and Flemish chansons that inspired them, contrasting English instrumental music of the period by Peter Philips, John Ward and William Byrd, and works by Girolamo Frescobaldi and Giovanni Paulo Cima in the new style with continuo. A Washington premiere! This exciting and completely unknown manuscript of 770 pages was meticulously prepared in 1714 by André Danican Philidor, the king's music librarian, "for the little concerts given for His Majesty (Louis XIV) in the evenings". 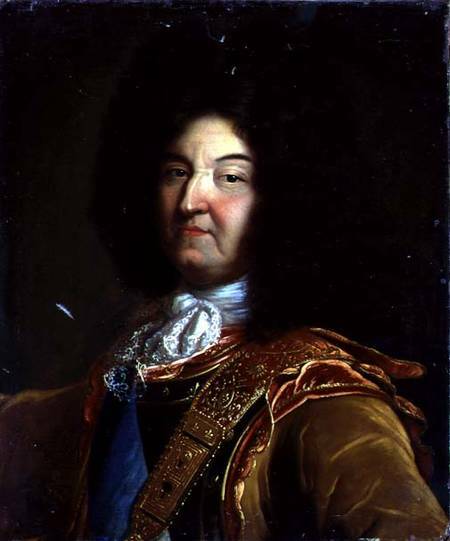 Discovered some years ago by Jeffrey Cohan in Paris and finally viewed again and brought back last spring, "Little Evening Concerts for Louis XIV" recreates the regular evening performances given by the illustrious members of Louis' Musique de la Chambre. This incomparable new source of information revealing the specific repertoire for these concerts and Louis XIV's preferred chamber music in his last years is to be explored, almost surely for the first time ever on the east coast and in one of the first performances anywhere since the death of Louis XIV in 1715, at the very low pitch of Louis' court on the three-piece one-keyed baroque flute and other instruments with which the king was familiar. Now in its 14th year, the Capitol Hill Chamber Music Festival has since 2000 presented chamber music by familiar as well as little-known composers from the Renaissance through the present on Capitol Hill in period instrument performances which intend to shed new light upon early performance practice as well as contemporary works. Unpublished works from the Library of Congress are given particular attention, and many have received their modern day premieres during these concerts, in addition to premieres of works by Slovenian composers. The Capitol Hill Chamber Music Festival is a nonprofit corporation in the District of Columbia. The programs will take place at 7:30 p.m., at St. Mark's Episcopal Church at 3rd & A Streets, SE in Washington, DC, just behind the Library of Congress on Capitol Hill. The suggested donation (a free will offering) will be $20 or $25. Students 18 years of age and under are free. Tickets are available at www.brownpapertickets.com . For further information please call St. Mark's at(202) 543-0053 or email chcmf@aol.com. Risa Browder received her professional training at Oberlin Conservatory. After graduating from Oberlin and completing graduate studies at the Royal College of Music in London and the Schola Cantorum in Basel, Ms. Browder began her professional career in Europe with Academy of Ancient Music, English Concert, Les Musiciens du Louvre, Purcell Quartet, and London Baroque, among others. Ms. Browder’s interest in historical performance on violin, viola, and viola d’amore ranging from the 17th century to the Romantic era, has led her to perform as a soloist with the Folger Consort, Washington Bach Consort (concertmaster), Capriole, Boston Bach, Smithsonian Chamber Players, and Rebel. Ms. Browder is co-director of Modern Musick, a period-instrument chamber orchestra which debuted in 2001 to high acclaim in Washington, DC. Recording credits include Dorian, Chandos, Deutsche Grammophon, Virgin Classics, and EMI. She also enjoys teaching and is on the faculty of the Peabody Conservatory where she teaches baroque violin and viola and together with her husband, John Moran, directs the Baltimore Baroque Band. A native Washingtonian, Leslie Nero spent many years in Ontario and Quebec performing in modern orchestras before returning to the D.C. area, where she is currently an active freelance musician on both modern and baroque violin and viola. In recent years she has performed locally with Opera Lafayette, Modern Musick, Folger Consort, the Handel Choir of Baltimore, The Bach Sinfonia and the Washington Bach Consort, and has participated in summer early-music festivals in Oberlin, Vancouver, Seattle, Boston, Toronto, and Albuquerque. In addition to her performing career, Ms. Nero teaches beginning strings for the Alexandria City Public Schools. John Moran is a musician and musicologist who specializes in historically informed performance of music from the 17th through the 20th centuries on the cello and viola da gamba. He studied both at the Oberlin Conservatory, baroque cello at the Schola Cantorum Basiliensis in Basel, Switzerland, and musicology at King's College London. He has performed and recorded with numerous groups in Europe, including Les Musiciens du Louvre, The Consort of Musicke, English Baroque Soloists. Since 1994 he has lived in the Washington, DC area. He is a regular member of REBEL, a New York based baroque ensemble and the music director of Modern Musick, a Washington period-instrument ensemble. He has also appeared with Opera Lafayette, the Washington Bach Consort, the Folger Consort, the Smithsonian Chamber Orchestra and Chamber Players. He teaches viola da gamba and baroque cello at the Peabody Conservatory, where he is also co-director of the Baltimore Baroque Band. He is a contributor to the revised New Grove Dictionary of Music (2001), reviews books on musical topics for various journals, and is writing a historical monograph on the cello for Yale University Press. He is married to the violinist Risa Browder. Capitol Hill Chamber Music Festivals have been funded in part by the DC Commission on the Arts & Humanities, an agency supported in part by the National Endowment for the Arts.